Your San Diego SEO Expert. All The Moving Parts—Welcome To MAD SEO! In 2019 it takes a tremendous amount of daily oversight and teamwork to move your Google ranking to the top. We are a company that grinds away at the details to move you up in ranking. It’s not just about knowledgeable technical nerds who set it and forget it. It takes people that think like business owners who look at the “why” and then do what it takes to move you up. Mind-Blowing SEO Stats for 2019. We Can Do For You. Positions Up On Google In 3 Months! San Diego Website — In Less Than 3 Months! In January this year we recommended SEO services to one of our existing clients. Our client Better Off Med Spa in San Diego just opened last April in a very competitive market. When we started the SEO program they only had an average of 12 people visiting the website each day and they weren't ranked on the first page for any search terms. We started to lay the groundwork for our SEO program in the first month. We worked on strategy, the technical parts of the website, the content, and the foundational backlinking. As you can see there was no real change of visitors to the website in the first month which is typical. We focused on the medical side of the services she offered and wrote blogs that we felt would boost her Med Spa as an authority in her market. In addition, we created content for services that were more in demand than some of the higher-priced services. This not only broght more phone calls and inquiries, but also more cross-sales to the higher-priced services. than the home page and other pages. Typically when a company works on your SEO they may go after typical keyword searches. At MAD Group we create great out of the box strategies along with technical solutions. When you do the research on these obscure titles you will find many variations of the search terms which invariably generate more traffic. Organic Traffic Is Just Skyrocketing In Real Time! The dark blue represents organic traffic. This is the traffic that comes to the website through a particular search term. The graph below represents 30 days. The area circled in red shows how many keywords are ranked in the top ten in Google! 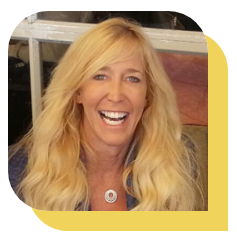 Sari Dickinson — Managing Director, Better Off Medical Inc.
Let Us Be Your San Diego SEO Expert. Contact us to see if we can boost your revenue. This Med Spa is a current case study. Though we are proud of the work we have done to achieve this success for our client, typically success in SEO campaigns take a little longer to achieve. We try to show noticeable movement within 90-120 days on our campaigns on the way to our ultimate goal of positioning you at the top. Contact us to discuss your goals so we can give a reasonable estimate of time and money. A San Diego Advertising Agency. Branding. Digital Marketing. Ad Campaigns. We built our San Diego advertising agency to make a difference for local and national clients. Our scope of services along with our business acumen and integrity set us apart. As your advertising agency, marketing company, and creative design firm we will work with you on a personal level to help your business develop the voice it needs to reach the people that matter. Don’t Be Even, Get MAD. © 2019 Copyright by Mad Group Consulting Inc.
At MAD Group, we pledge to relentlessly pursue the extraordinary; to adventurously challenge the limit of our capabilities; to visit distant perspectives and question them; to seek what you stand for and tell it to the world with conviction; to be your loyal ambassador, representing you with vigor, passion, and purpose; and to ethically serve you with the highest standards of devotion and transparency so your clients, and all whom you affect, will recognize the significance of your quest, and the legacy that you are so carefully building.